Bangalore is another city that has some of the best cycle shops. As compared to Mumbai, the city has a nice weather that makes it ideal for cycling. However, Bangalore traffic does give a tough competition to Mumbai’s traffic jams and unwanted honking. Needless to say, this certainly doesn’t stop the Bangalore cycling community to flourish. With more and more people realizing the importance of health, it’s quite often they now look up for best cycle shops in Bangalore. If you are on the hunt for the best cycle shop in Bangalore, here’s a list that will help you make your way to the closest bicycle shop. When you talk about Bangalore cycling, there is one name that’s synonyms, BumsOnTheSaddle. Also known as BOTS, this cycle shop in Bangalore is a great place to get the best bicycles and service. At this store, you can always connect with like-minded people, geek over bicycles and to immerse yourself in cycling. BumsOnTheSaddle also has an online store where you can get the cycling accessories, components, apparel, and a lot more. You can read our interview with Chief Wrench, Rohan Kini, here. If you are looking to get the best bicycle service in Bangalore, Crankmeister Bicycle Works is the place to be. Here, you are guaranteed to get expert bicycle diagnostics, repairs and maintenance from experts who know everything about bicycles. This best cycle shop is also a great place to build a custom bike. That being said, you can also get access to trainers, accessories, and bicycles. Another bicycle store in Bangalore that promotes cycling actively is ProCycle. The store is operated from Indiranagar and is a home to some of the best bicycle brands like SCOTT, BERGAMONT, GIANT, MERIDA and more. They also offer complete bicycle servicing as well. That being said, the store also has a bicycle magazine published monthly by the company and extensively distributed in both print and online versions. You can also rent a bicycle or get a customized bicycle made for yourself from ProCycles. 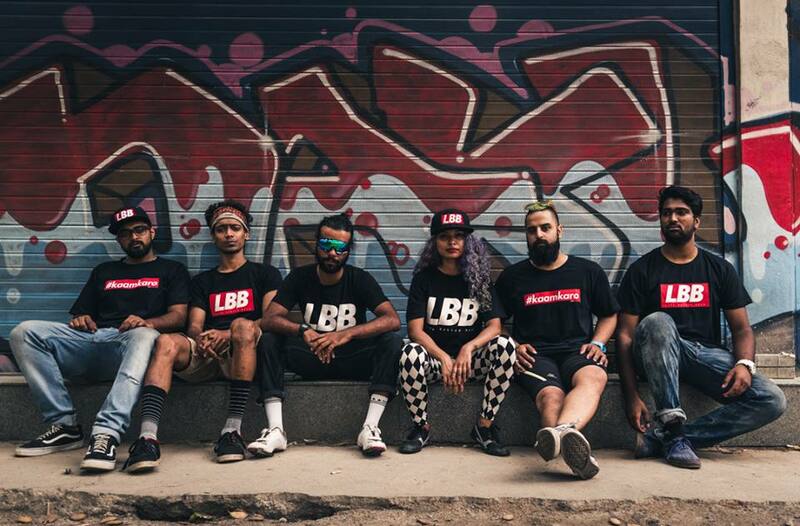 Those of you looking for the coolest fixies in India head to Life Behind Bars Cycles. This cycle shop in Bangalore, Indira Nagar offers customized fixies and is a full-service workshop. 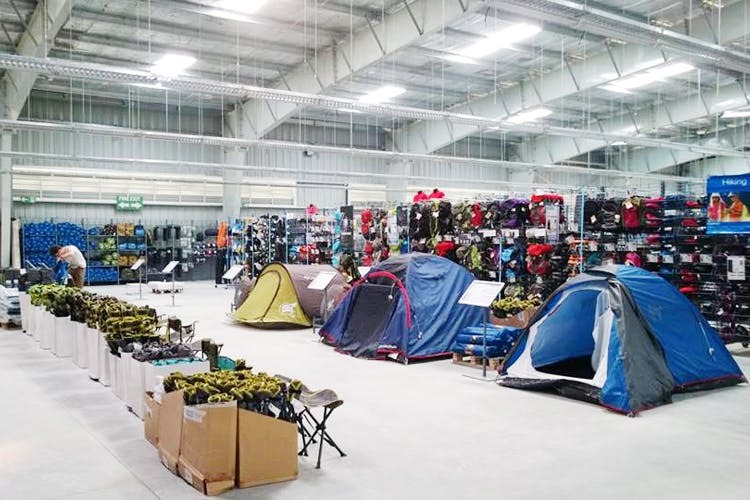 Just like Mumbai, Decathlon is also present in Bangalore. This one-stop shop destination for sports offers the best budget bicycles, accessories and servicing for cyclists. Besides, it is also a home to dozens of indoor and outdoor sports. Looking for cycle shops in Mumbai, here’s a list. Another popular cycle shop in Bangalore is Track&Trail. It is an online and offline retail and experience cycling store, created keeping cyclist in mind. Walk in and explore some of the best cycles, accessories and services across a variety of brands, types and budgets. 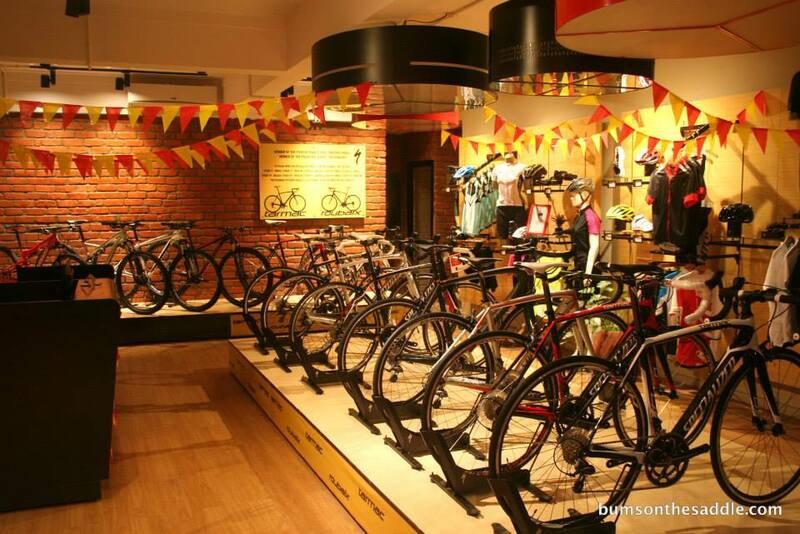 At this cycle shop in Bangalore, you will find brands like Bianchi, Cannondale, Schwinn, GT, Mongoose, Montra & Ducati. Cycleworld is another Largest Premium bicycle store Located in JP Nagar, Electronic City, Bellandur, Kalyan Nagar, Malleswaram, Banasankari and Hosur. This store is a dealer for “Hero, KEYSTO, SCHNELL, TRINX, FANTOM, GIANT and more. 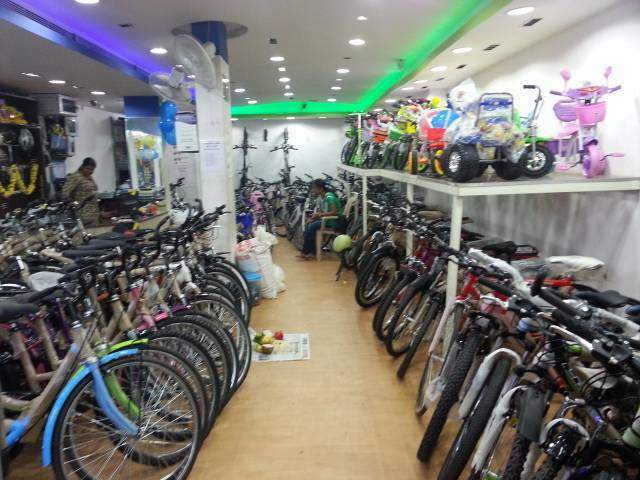 The biggest advantage of this cycle shop in Bangalore is that it offers Easy EMI that lets you buy the bicycle you wish. If you’re looking for giant bicycle sin specific, then this is the place to head to. Just like Mumbai, Pune and other cities, Giant has a cycle shop in Bangalore as well. 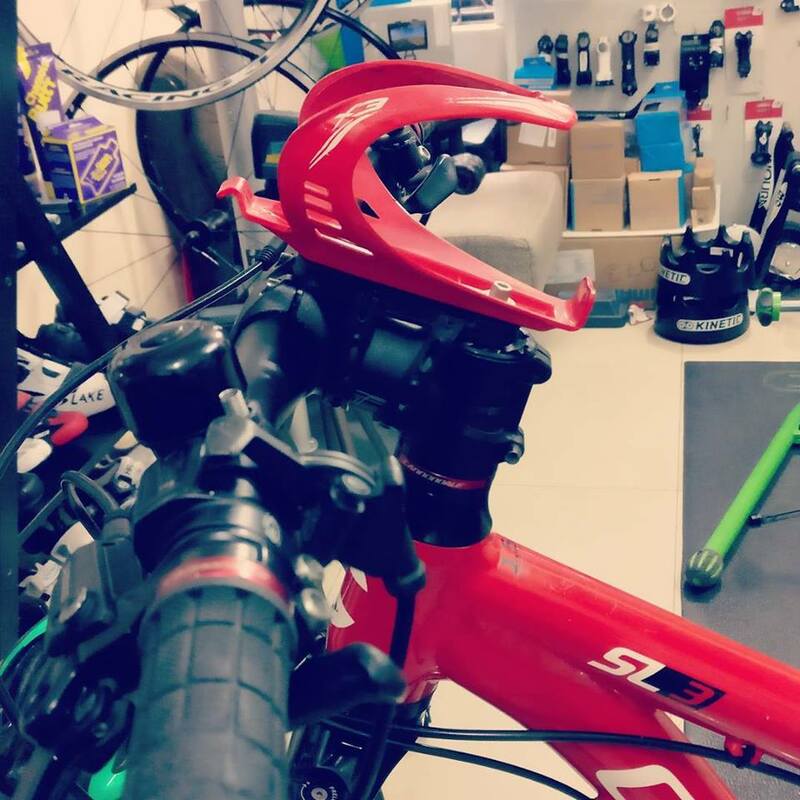 Unlike other cycle shops in Bangalore, cycling boutique is more of an experienced center that offers the top quality bicycle accessories and products. At this store, you are likely to get extra attention when it comes to modifications and upgrades. Most importantly, the team will go out of their way to make sure your bicycle is at its best and to see that you are satisfied. If you are looking for a cycle shop in Bangalore that deals in high-end bicycles and accessories, consider wheelsports as an option. Wheelsports are authorized dealers of BMC, KHS, CKT and CSK Bicycles and Corima Wheels. They also sell and support other high-end bicycles like Wheeler, Haro, etc. Cadence 90 is a unique bicycle store that builds bikes to suit your needs, customizes cycling tours, rent bikes and a lot more. Are you looking for a cycle showroom in Bangalore that offers a variety of bikes and accessories at a low and medium price, RR cycles should suffice your need. Now, these are some of the best cycle shops in Bangalore. If you know of any other bicycle shop that needs to be added to the list, do comment below and let us know.